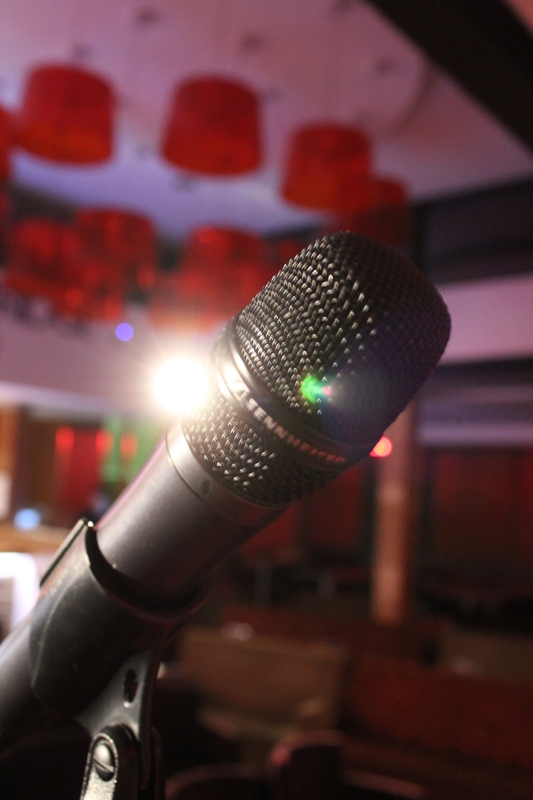 We are delighted to confirm that Scottish comedy sensation Fern Brady, will be joining us to headline the final Laughter Lounge of the year on Thursday 08 December. The show. 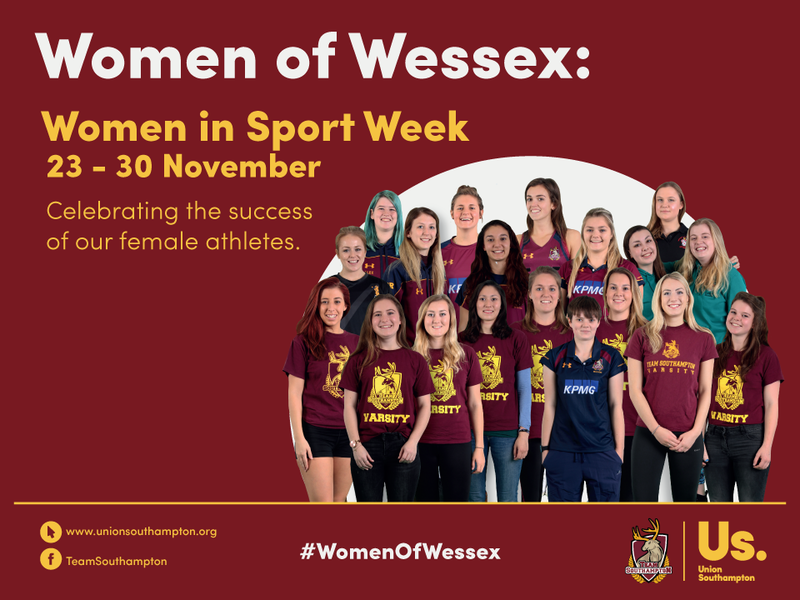 which includes support sets from Darren Harriott and Alistair Williams will open its doors at 19:00 at The Bridge for a 19:30 start. Tickets remain at the bargain price of just £4 each available from our Box Office at www.unionsouthampton.org/boxoffice with a limited number on the door. For an extra £2, you can enjoy nachos during the show. Christmas is just around the corner, so we thought we would give you a gift to remember every day for 12 days. 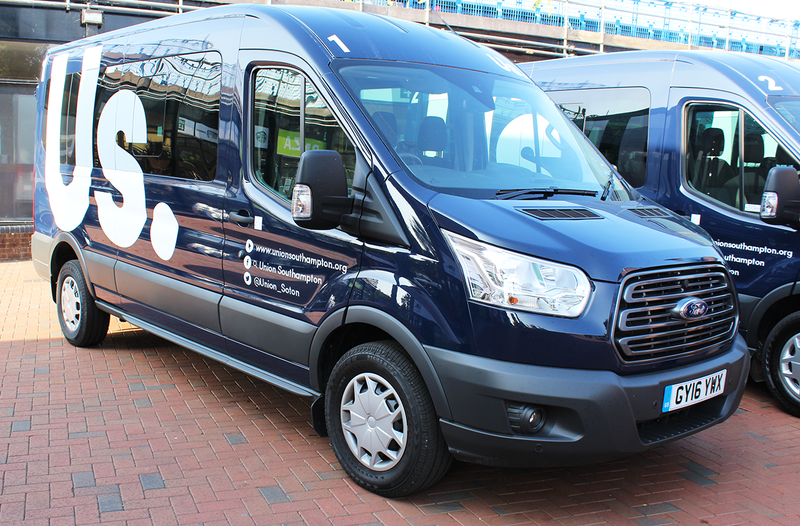 We’ll be giving away 12 amazing prizes collectively worth £400 to give you a Christmas cracker of a day! What will be under your tree?! 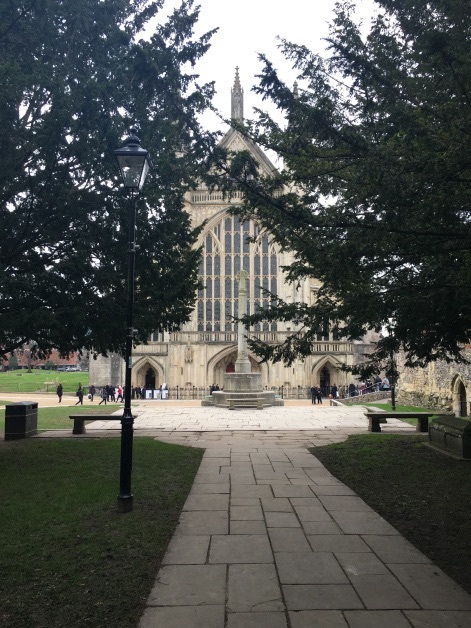 Postgraduate Research students from Optics and Photonics Society (OPSoc) took part in the Winchester Cathedral Primary Science Festival on 08 and 09 November. The festival, now in its second year, helps pupils to explore science in the spectacular medieval building, working with scientists to carry out practical experiments. Supported by the Heritage Lottery Fund, the festival is organised to help Year 6 pupils gain an understanding of science in the working world including sound, geology and light as part of their Key Stage 2 Science National Curriculum studies. 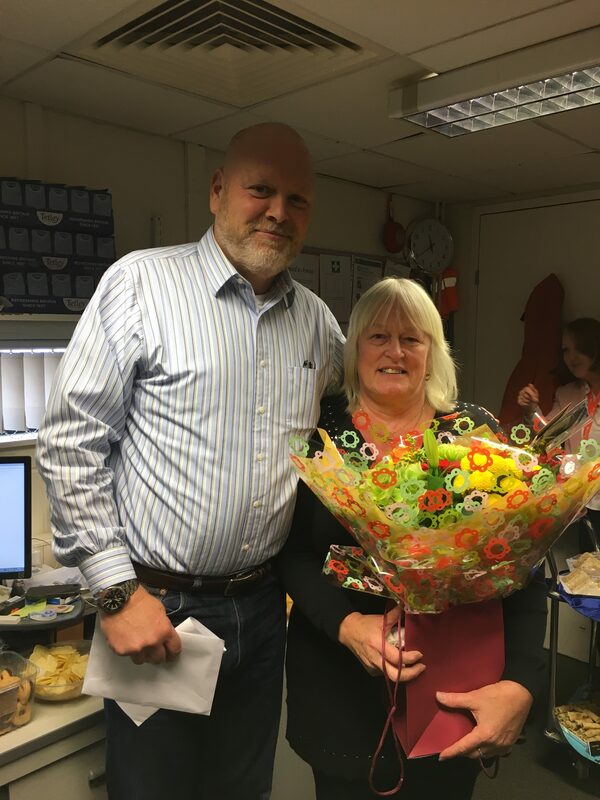 Today we celebrated the career of one of our longest standing employees, Ms Debbie Geddes, who is retiring after 31 years (and two months) with the Union. Jingle all the way with Christmas music, festive quiz questions as we party at the final quiz of the year. 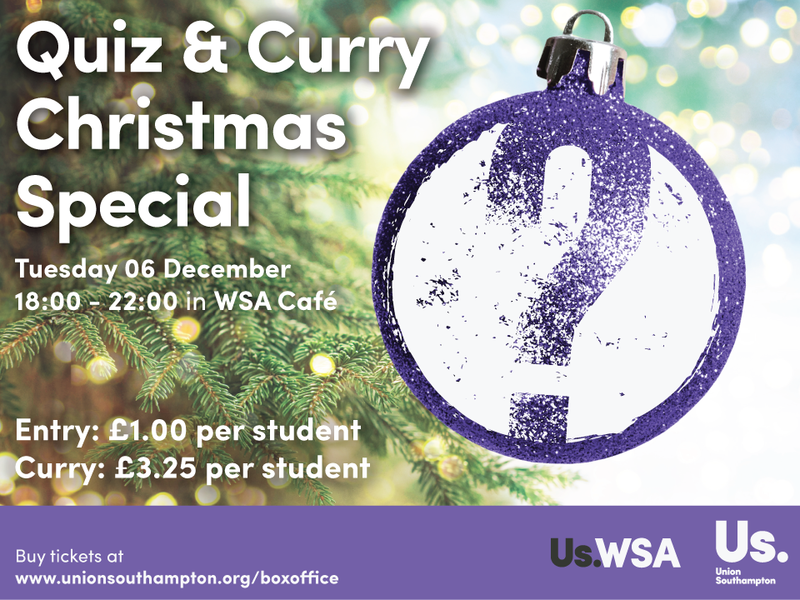 We’re celebrating the beginning of the festive season at WSA with a Christmas-themed version of our popular fortnightly WSA Quiz and Curry. Join us on Tuesday 06 December between 18:00-22:00 for more quizzical fun as we embrace the Christmas festivities at the WSA Cafe. Entry tickets are just £1 and include 1 raffle ticket, though you will have a chance to buy more on the night. 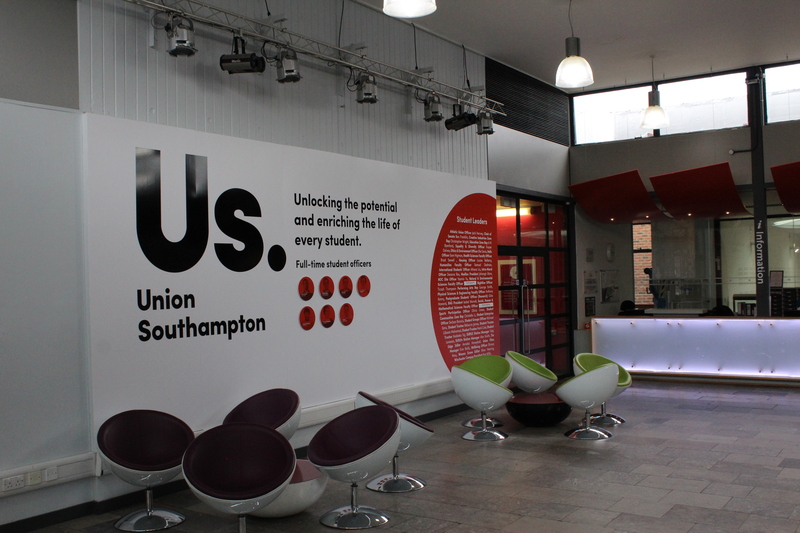 Get yours at unionsouthampton.org/boxoffice. Monday sees the start of Creative Industries Careers Sessions – a host of events and networking opportunities to help give you a step towards your chosen career in the Creative Industries and we have added more events to the programme! 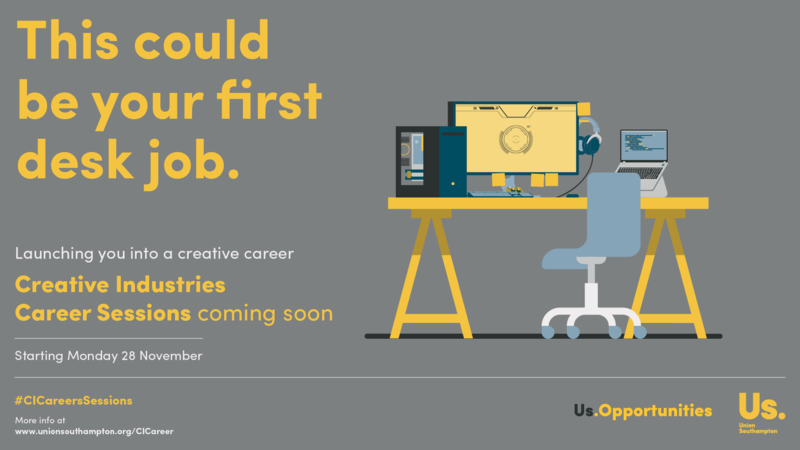 Are you interested in a career in the Creative Industries? Whether you want to become an artist, writer, actor or you are interested in the technical side of production and behind-the-scenes work, we are here to help. Browse our events below and make sure you pre-register for all sessions on our Eventbrite (all sessions are free).